Real estate in Barbados has taken many turns in the last eighty years. We have had boom periods, steady growth periods and stagnant periods, all for different reasons. I always remember the older folk speaking of the collapse of the sugar industry in the Twenties. World sugar prices dropped from US 22c to US 2c almost overnight. This had a disastrous effect on the Barbados economy at the time, with many Barbadians depending heavily on sugar for their livelihood. There is a story of a well-known plantation owner of the day who had six plantations debt free. He mortgaged all six to purchase the seventh as the banks were quite demanding at that time. He ended up losing every one of them. Barbados Real estate suffered greatly in the Twenties and again in the Thirties due to the Great Depression. Mortgages were hard to come by and relatively few people owned the majority of property. I remember as a child growing up in the Sixties the price of substantial properties was in the area of GBP 4,000 to 6,000 as that currency was still used in Barbados property transactions. My personal experience in real estate tracks back to 1972 when I invested in my first project, a small shopping centre. Three friends and I purchased the land and constructed the building with borrowed money. At that time three American banks set up shop in Barbados to compete against the traditional banks thereby changing dramatically the lending policies. In fighting for business these banks were extremely liberal and it is no coincidence that they only lasted a few years. The shopping centre was relatively successful but after a few years we were only covering interest costs so we sold it for the grand sum of BDS$350,000, with which we just about broke even. Recently a real estate agent offered me the same property for BDS 5 million not realising that I had previously owned it. That sums up where Barbados real estate has gone in the last forty years. Fortunes have been made in real estate development primarily through tourism and auxiliary services. Beachfront properties have outpaced all other areas of Barbados real estate. Having said that we have been through some lean periods caused mainly by the fuel crisis of the Seventies and Eighties where real estate has stagnated for ten years or more. Investors have at certain times lost heavily by leveraging property investments at the wrong time. 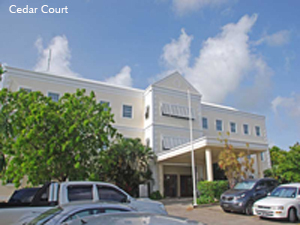 In terms of Barbados commercial real estate, the market has moved from being speculative to reactive. From the late Nineties to 2007 developers have bought land and erected buildings with little challenge to finding a tenant upon completion. Currently our model is to undertake development only where there is guaranteed demand from the outset. Anything else is presently too risky. We are currently in very flat period where some segments of real estate will lose value and others will remain stagnant at best. There is nothing on the horizon to indicate that this situation will improve in the foreseeable future. At the moment there is an oversupply of land, houses and tourist accommodation for sale in Barbados. It is basic economics that with over-supply there will be pressure for prices to come down. Now is an opportune time for the Government, developers, hoteliers and property owners to take stock of their property assets and evaluate what investors, tourists and house buyers will be looking at moving forward. I would like to point out two areas that could adversely affect the future of Barbados real estate. Noise pollution has raised its head on many occasions with nightclub owners operating their businesses with no concern for their neighbours. Noise is pollution no different to sewage which must be kept within the confines of the property causing it. Nightclub operators must contain their noise with soundproofing and other means to limit the nuisance to the surrounding areas. The laws need strengthening as this can have a serious effect on the value of property and the future of tourism. Across this country there is a multitude of derelict buildings and un-kept lots. In our main tourist belt, in the Hastings area and on the West Coast, many properties, some whose land value is worth millions of dollars, are left to decay with the obvious results of rodent infestation, criminal activity and other negative consequences detrimental to all of us. It is incumbent on the Ministry of Health and the Environment to monitor and control this menace. The solution is simple: legislation, if not already in place, must be enacted so that the Ministry can go after Barbados property owners and their pockets. If the owners do not cooperate the Ministry should clean up these properties at the expense of the owners. The properties must be sold if the cost is not met. There are many young people in this country who need work and they could be employed to do this work. Perhaps, the funding of this project could be arranged in the form of a bond or monetary instrument where investors would get a fair return on their money. Our island is well placed to take advantage of the eventual recovery of the global economy and those who can hold on will benefit in the end. The largest Caribbean Renewable Energy Forum took place in Barbados in October 2011, hence the government and developers should focus on basic energy audits, such as improving lighting efficiency, better roof insulation and solar photovoltaics. I feel that those that concentrate on quality and sustainable real estate will be the real winners in this downturn. Richard Edghill is Managing Director of Edghill Associates Ltd. With cousin Angus Edghill, he formed construction company Edghill Associates Ltd. in the early 1970’s. The company has completed projects such as the Barbados Light and Power (BL&P) generating plant at Spring Garden and the Barbados Port expansion. Under Caribbean Consultants Ltd. Richard maintains a portfolio of Class A office buildings and multipurpose warehouse space. Richard has a Master’s degree in Civil Engineering and sits on the Board of the BL&P.